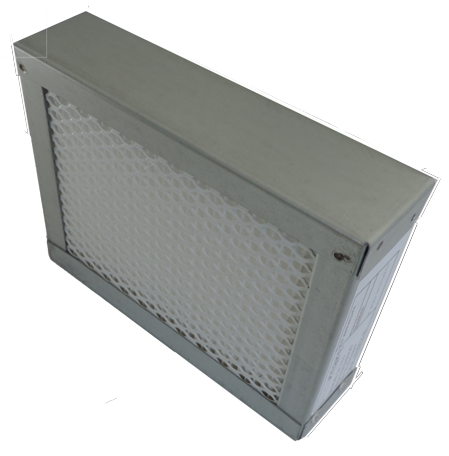 We are offering an air filters as a stand alone system which delivers a constant stream of filtered air into the display cases or other enclosures. This is especially good when the exhibit inside the case is off gassing harmful compounds. 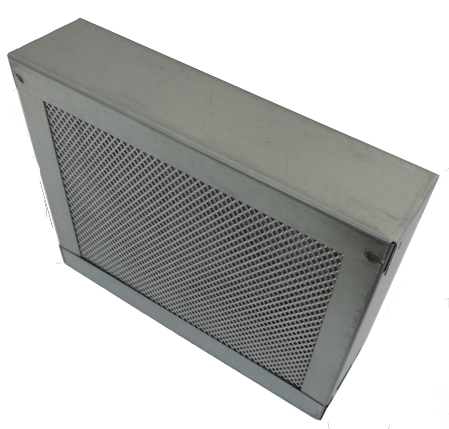 This system delivers clean, filtered air which replaces any dust and/or chemical pollution. Filter system consist of filter housing, two filtering cartridges (usually dust and activated carbon) and air pump. System can work in conjunction with our air quality sensors when air pump is activated only when dust or TVOC gas levels rise over a certain point. PLEASE NOTE THAT THIS STAND ALONE SYSTEM CANNOT WORK IN CONJUCTION WITH ANY OF OUR HUMIDITY CONTROL DEVICES. For more information see Download Page. Same filter without air pump can work with our Mini One humidity generator. Filter is installed between air pump and Mini One unit. 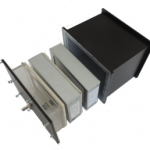 For PMCG units we are offering carbon filters. Those filters are installed between the PMCG output and display case air input. Please note, the size of the filter is relatively large and difficult to use where only a limited installation space is available. 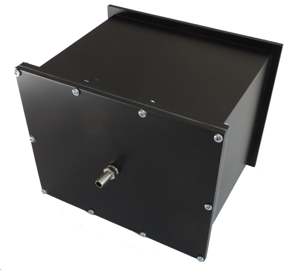 Maxi One can be fitted with intake dust and activated carbon filters, as well as output filters installed before air inputs into the case.